Reminder – District City Councilor Forum This Wednesday 1/24/18 6:30pm at RCC – Bring your ideas! The three district city councilors who represent parts of Roslindale have all committed to participate in our WalkUP forum discussion this Wednesday, 1/24/18 at 6:30pm at the Roslindale Community Center at 6 Cummins Highway: Andrea Campbell (District 4), Tim McCarthy (District 5), and Matt O’Malley (District 6). We hope everyone interested in a more walkable Roslindale will attend and join the discussion. We plan for this event to be more open and participatory than the “at large” candidate forum we held before the election. We want to hear what ideas our representatives have for improving the neighborhood and how we can help make them happen; but this should also be an opportunity for our elected representatives to hear our ideas and for a constructive dialogue between us all. So come with your questions and ideas! Public transportation: what can be done to make the buses and trains better serve the neighborhood? Roslindale Square: how to improve the pedestrian environment and boost the business/retail community? Housing: how to handle gentrification and the impact of development on our transportation infrastructure? 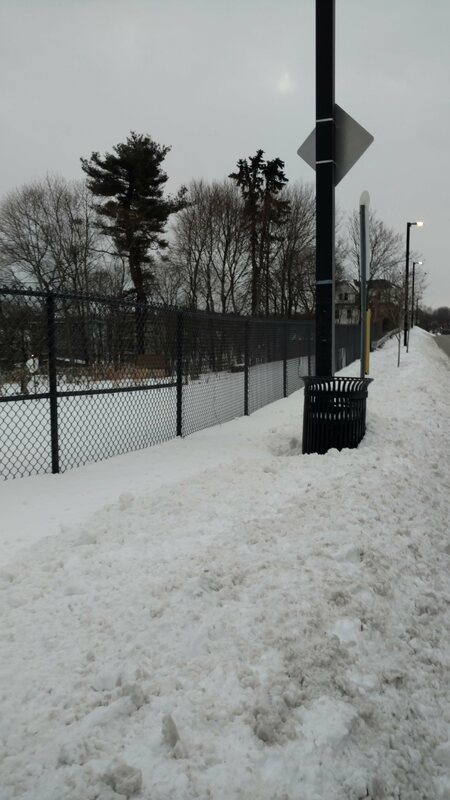 Eastern Roslindale: what’s new with our neighborhood slow streets pilot and the American Legion Greenway initiative? 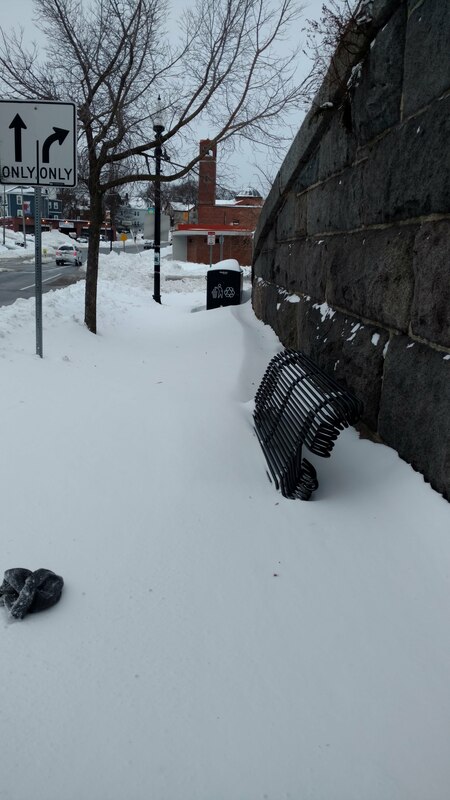 All Things Roslindale / Open Discussion: what’s new with the Arboretum Gateway Path as well as planned redesigns along Bussey Street? What other issues are important to Rozzie folks new and old? Please RSVP on our Facebook Event page and invite your friends and neighbors! There are reasons for elected officials at the local and state levels not to take this pledge and ride the T for 5 consecutive work days before May 31. It’s just that those reasons can all be dealt with or planned around and the pledge’s central notion — that you value, at a fundamental level, something more and know better its pluses and minuses when you actually experience it on a regular, sustained basis — cannot be denied. Check out the website, and if you agree, reach out to your own local and state elected officials and encourage them to take the pledge. We’ll all benefit. And many thanks to Brendan Halpin, our neighbor over in Jamaica Plain, for coming up with the idea for the pledge. …for our small, but dedicated army of snow clearers to be called into service tomorrow. Forecast is currently for 1 to 3 inches of wet snow. We will get the message out if that changes on the upside. That is all. Good evening! Overall, and no surprise to anyone, but there was a lot of snow out there this morning. 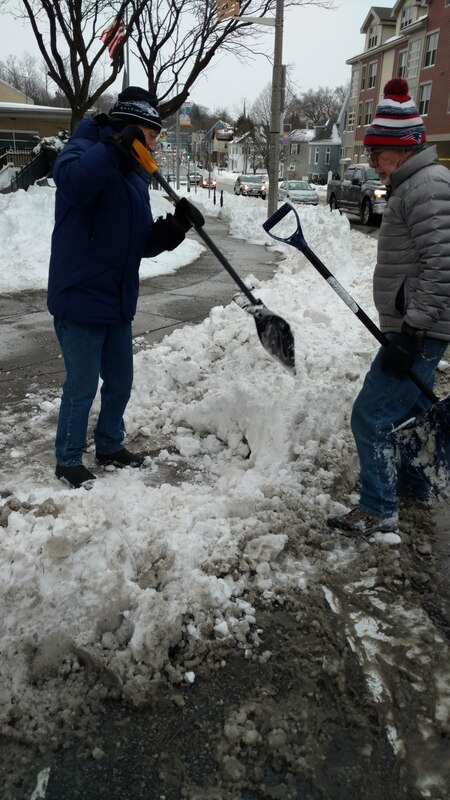 The vehicular portions of streets were generally in good shape thanks to the city’s long-standing practice, so thanks go to the city’s own crews and their team of contractors responsible for plowing those areas. 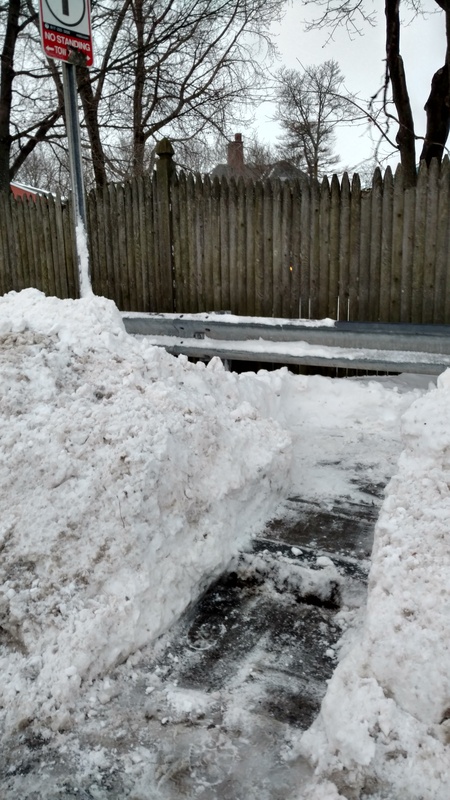 The sidewalks and the bus stops on them were another matter. 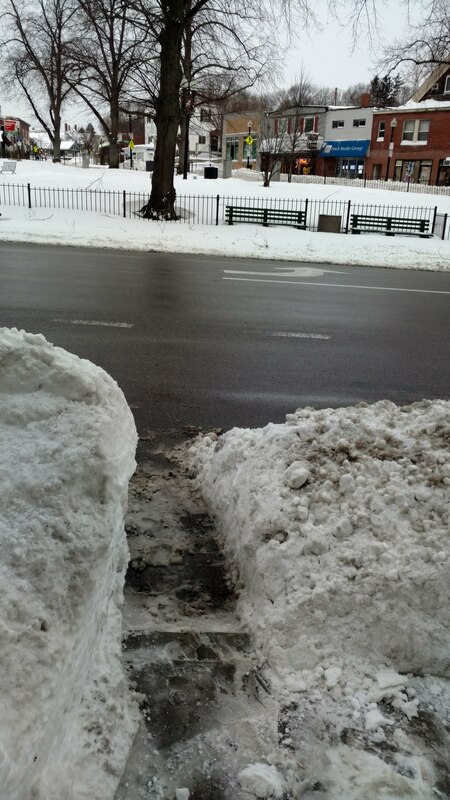 The stops themselves on Hyde Park Avenue were in decent shape, though plowed in. At the other stops we cleared, the conditions at the start ranged from bad to horrendous. 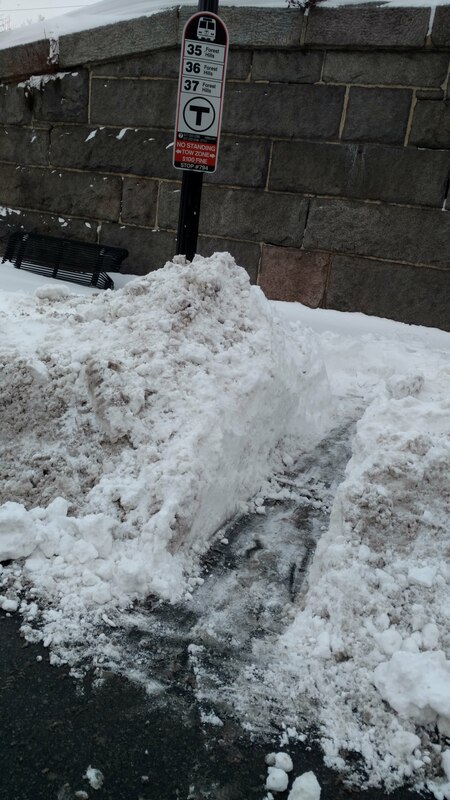 Clearly, more advocacy and work are needed to bring more attention and resources to clearing the walking and transit-related portions of streets — the sidewalks and bus stops — that are the city’s responsibility and enforcing the obligations of private property owners on the balance of our sidewalks. 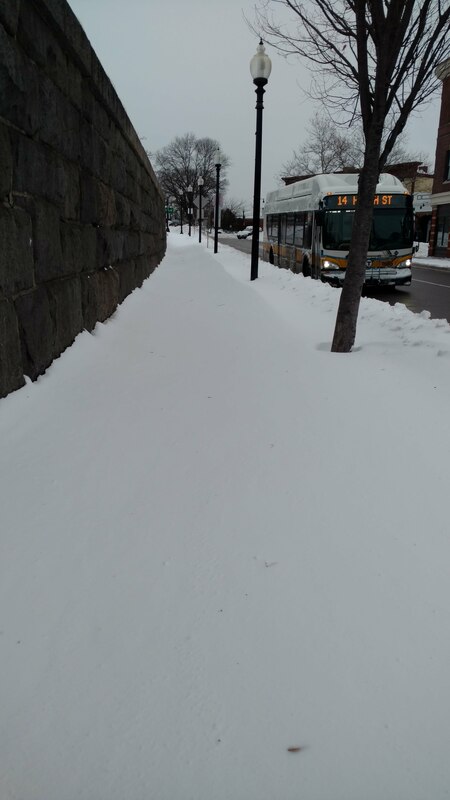 Plenty of folks we saw out this morning either walking or waiting for the bus were doing so in the cleared vehicular parts of the streets because the sidewalks and bus stop areas were unusable. 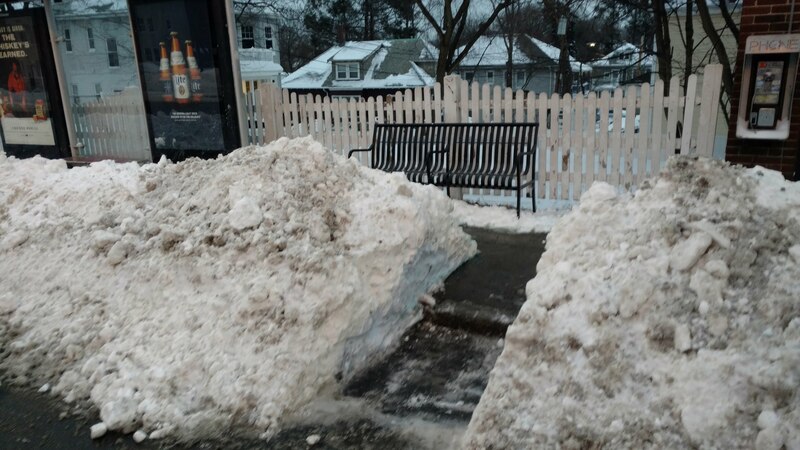 This is hardly news if you’ve walked around Roslindale after a major snowfall. 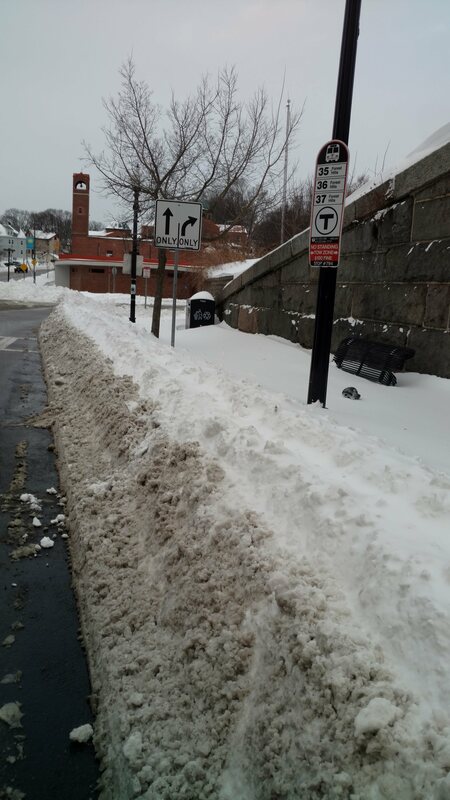 But it’s now 2018, combating the manifest impacts of climate change on this coastal city should be a top priority, and we need to move faster to encourage the shift to more walking and transit use that GoBoston 2030 is meant to promote. More needs to be done a lot faster. 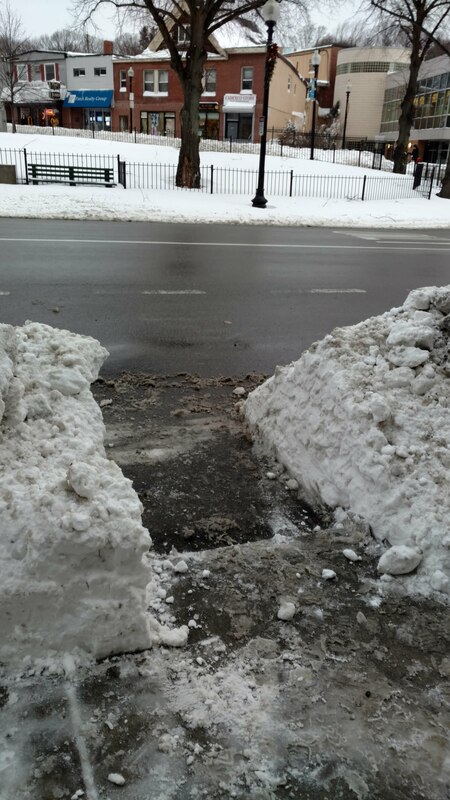 Sidewalk was clear on the other side of this. Pretty good start. 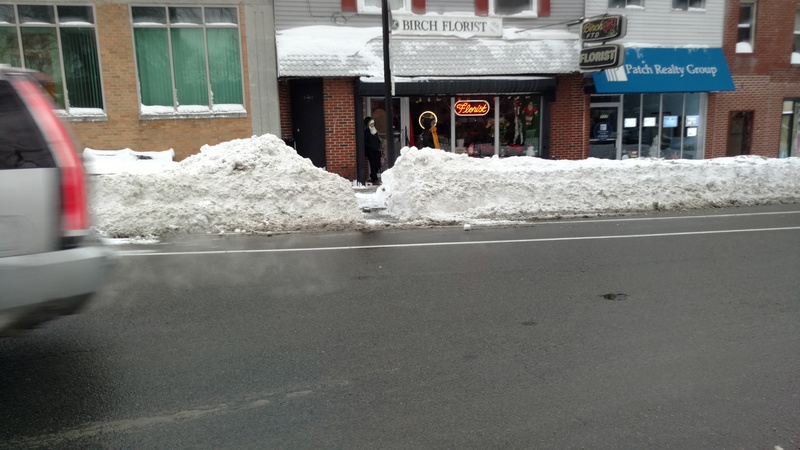 Finally, on the way home, I first walked up South Street and encountered a massive, sidewalk-blocking snow mound on South Street abutting the Village Market parking lot. Hopefully this has been cleared by now. And then, to finish off the WURSC Collaborative 1.2, I dug out a landing pad for the stop where multiple buses come in at Robert/Belgrade/Corinth, on the same side as the commuter rail station. 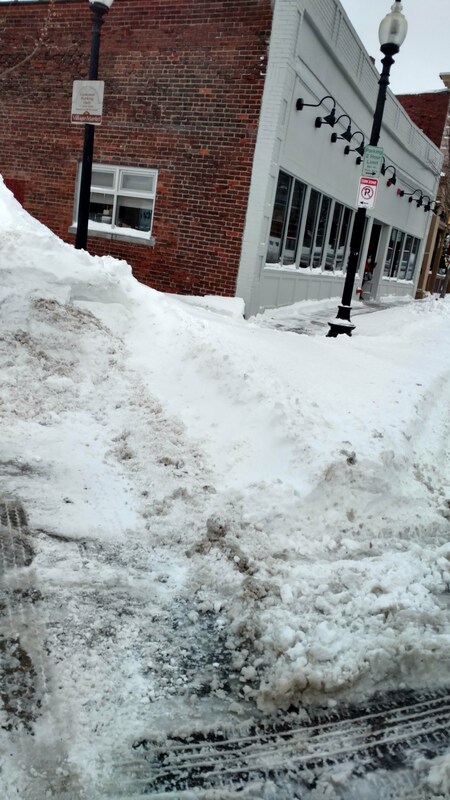 As can be seen from the photos, the sidewalk on Belgrade was completely plowed in and I can report that no clearing had occurred this evening. 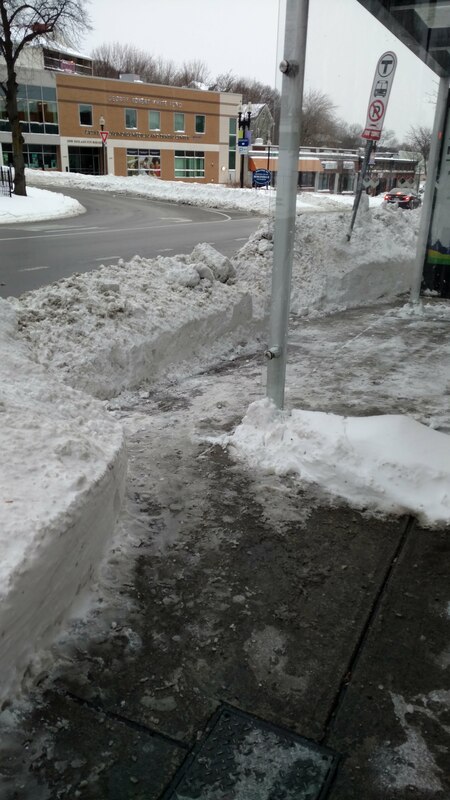 It is to be hoped that this sidewalk and bus stop will be cleared as soon as possible. 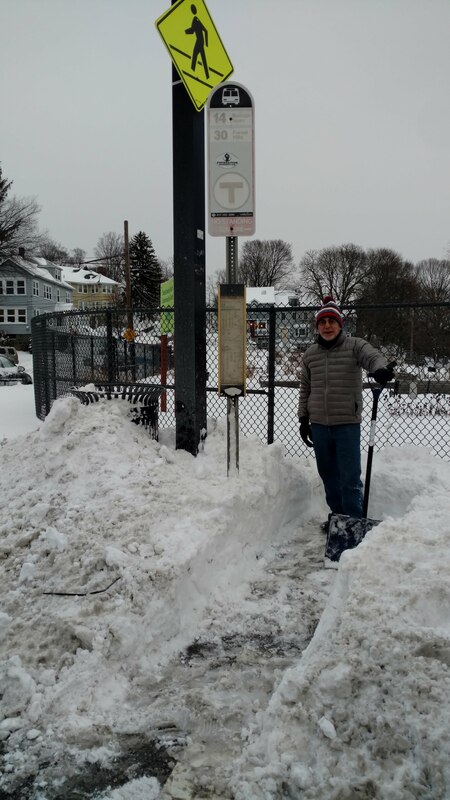 Snowfall from the now-commenced storm will almost certainly exceed our 4″ (10.2 cm) benchmark, so we are going to clear our identified key bus stops. (ii) Steve Gag at the northeast corner of Washington Street and Cummins Highway (RCC). Feel free to contact Matt (his email is matthew.j.lawlor@nullgmail.com) or Steve (his email is stevengag@nullgmail.com) directly if you have any questions. 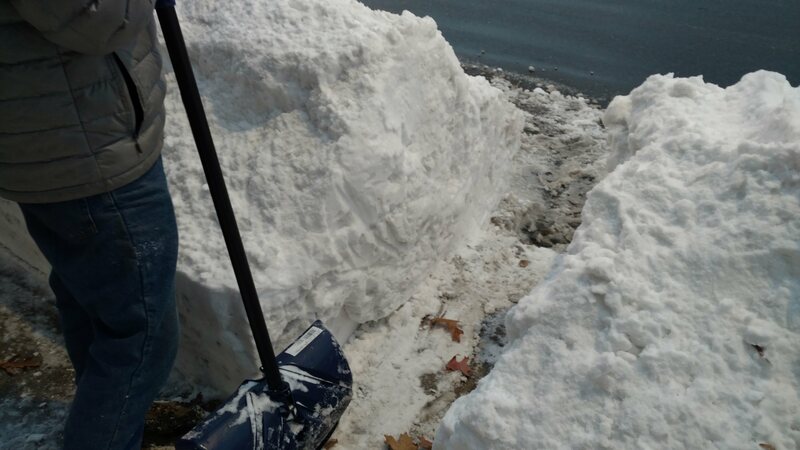 Please dress warmly and bring your own snow/ice clearance equipment and supplies (shovels, picks, icemelt, etc.) to the extent you can. Thanks and hope to see you there tomorrow morning to do some more community service this winter! With the books now closed on 2017, let’s take a moment to reflect on another year in the life of WalkUP Roslindale, your neighborhood walk-bike-transit-Y/QIMBY (Yes/Quality in My Backyard) citizens group. In the opinion of your humble correspondent, below are the top 7 highlights of the year just concluded. Comments, corrections, and additions are always welcome! Washington Street Operational Bus Improvements Pilot – It came late in the year (and on just 2 Tuesday mornings in December). But the first test of a bus-only lane (shared with people on bikes as well) on Washington Street from Roslindale Square to Ukraine Way from 7 am to 9 am was a widely-hailed successful proof of concept. 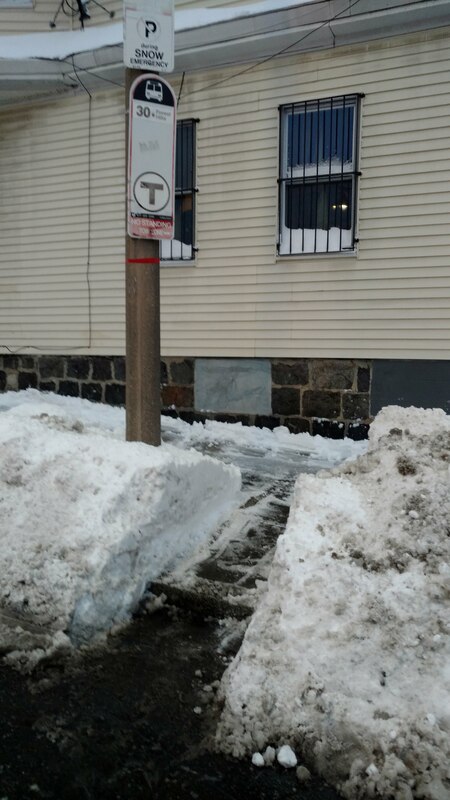 Bus riders saved significant time, people riding bikes in the corridor generally approved of the shared lane, and the Boston Transportation Department and the MBTA showed they could work quite well together on the first such test case in an outlying neighborhood. It is hard to overstate how big a deal this is — there are several corridors around Boston that desperately need the kind of low-upfront-capital but meaningful time-saving improvements to bus service that was demonstrated for the first time in this city here in Roslindale. A full 2-week pilot is reportedly planned for the spring. Dates and specifics are still TBD. 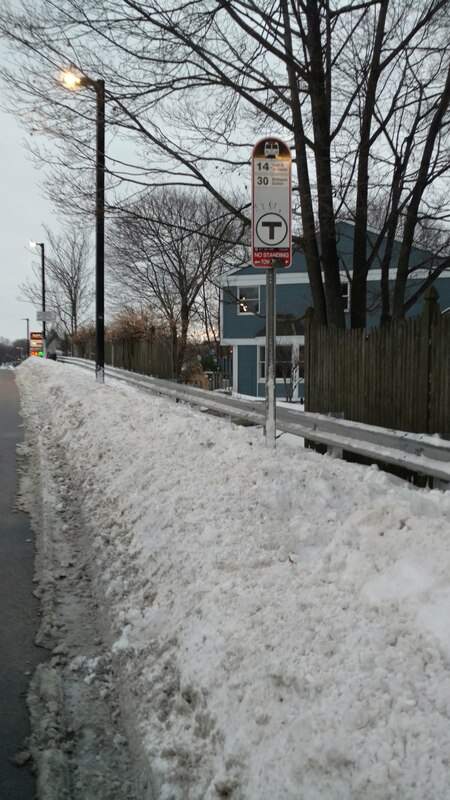 WalkUP Roslindale will do everything it can to support the full pilot and ultimately implementation of a permanent set of improvements. We appreciate the advocacy and support of the proposal from City Councilors Wu and McCarthy as well as BTD’s strong performance on the 2 days of the operational pilot. Special thanks are also owed to LivableStreets Alliance for their persistent advocacy, particularly their Street Ambassadors, who teamed with certain WUR diehards (Messrs. Tedrow, Gag, and Tobin come to mind) on outreach this fall and then during the operational pilot. Mt. 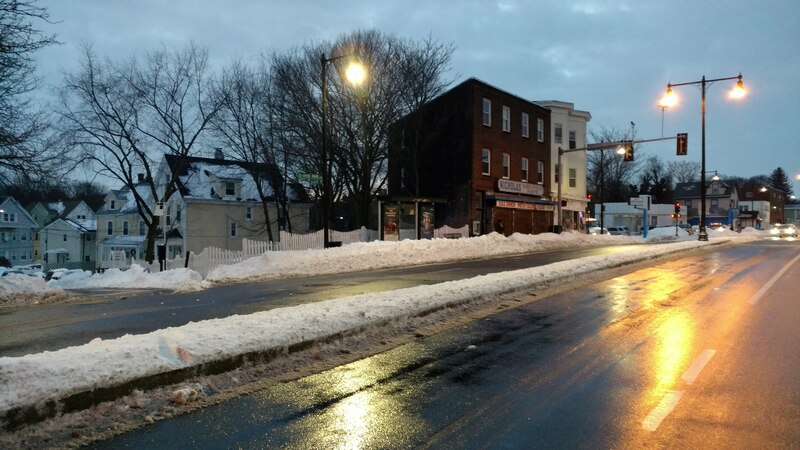 Hope-Canterbury gets Roslindale’s nod for the Neighborhood Slow Streets Program – A grand total of 47 applications were submitted to BTD’s program to install new neighborhood slow streets areas around Boston. Five applicants were picked, and our own Mt. Hope-Canterbury area in eastern Roslindale made the cut. We look forward to seeing the work of MHC stalwarts Lisa Beatman and Rick Yoder and their neighbors in that part of our neighborhood come to fruition in their new NSS by year-end. And herewith our periodic reminder that everyone in Boston deserves to live on a safe street. Everyone on every street in every neighborhood. Roslindale’s First Street Mural – Our neighborhood’s first street mural was laid down in June at the intersection of Conway and South streets, on the Peters Hill side of the MBTA commuter rail station. This was a great community building event and collaboration with the Mayor’s Mural Crew staff (especially Heidi Schork), BTD, Roslindale Village Main Street, Cornell Coley (Roslindale’s Artist-in-Residence), and our own Rachele Rosi-Kessel, Rebecca Phillips, Mandana Moshtaghi, and Ann-Marie Lawlor. At-Large City Councilors and Candidates Forum on Active Mobility Issues – WUR was significantly gratified to pull together a forum featuring all 8 current councilors and candidates in October to discuss active mobility issues affecting Roslindale and the city at large. Attendance was strong and we were able to livestream the forum as it was progressing. 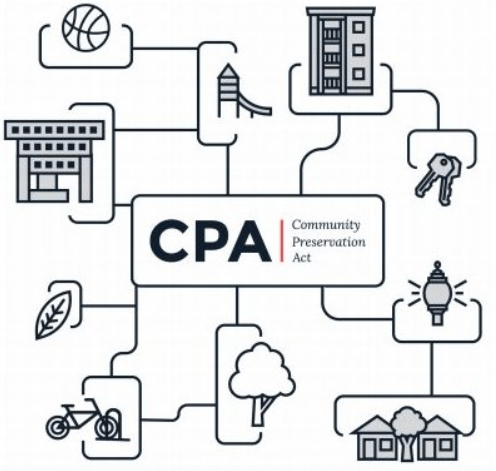 Particular thanks are due for this event to the Roslindale Community Center for making their downstairs meeting room available for an extended period on the evening of the forum. Green Shoots Pedestrian Improvements in Roslindale Square – WUR’s late 2015 collaboration with WalkBoston on a walk audit of Roslindale Square finally bore fruit in the spring of this year when key improvements were made to the Basile/Washington crosswalk (including fix the blinking yellow light, installing a handicapped accessible ramp and daylighting with flexposts) and Belgrade/South (including no parking in the area between the crosswalks and daylighting with flexposts). In addition to these major changes, we also saw a new crosswalk near the Robert Street underpass for the MBTA and a new crosswalk center delineator on Belgrade near Robert/Corinth. We hope to see more improvements around the square in the coming year. Roslindale Gateway Path continues to make progress and draws major foundation support – The early spring saw the release of the 10% design for the Roslindale Gateway Path at a community meeting at the Arnold Arboretum’s Weld Hill research facility, followed a couple of months later by an announcement of formal collaboration with the Arboretum Park Conservancy on a combined Roslindale Gateway/Blackwell Path project. The combined path effort then had the good fortune, with support from LivableStreets Alliance, the Arboretum and BTD, to obtain funding from the Solomon Foundation for advancing the design to the 25% level. Look for the release of the 25% design at some point this spring. Smarter residential development continues across the neighborhood – Last, but not least, WUR advanced our Y/QIMBY agenda in support of residential development that we thought worthwhile, especially 874-878 South Street (around the corner from your correspondent’s house), 32 Cummins Highway (down the block from the post office), and 4281 Washington Street (the Brayton’s Upholstery building). Our city is growing and need to welcome new residents by building new units form them instead of making them compete with existing residents over existing units.